It’s osprey season. 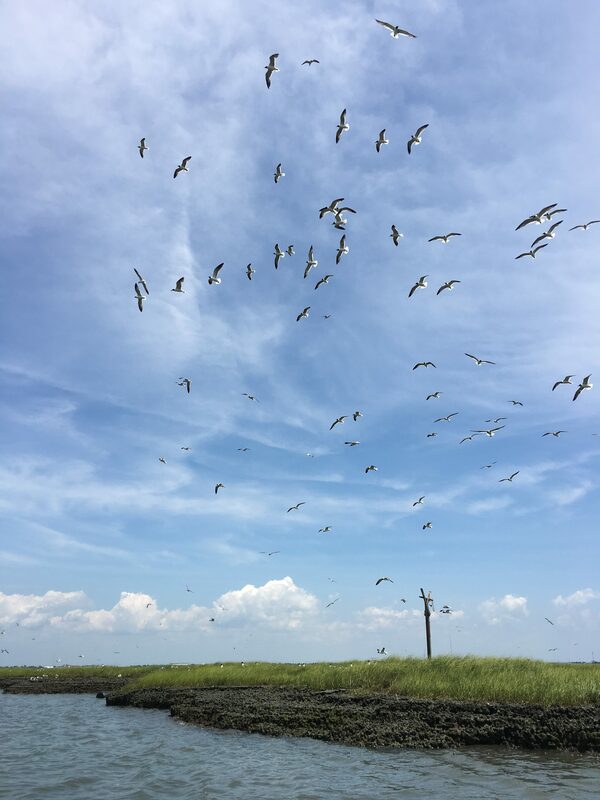 Osprey Survey Season, that is. However, we never like to start the season off with these types of emergency surveys, but with the increase of strong storms and extreme straight line wind events, they are becoming an annual event. 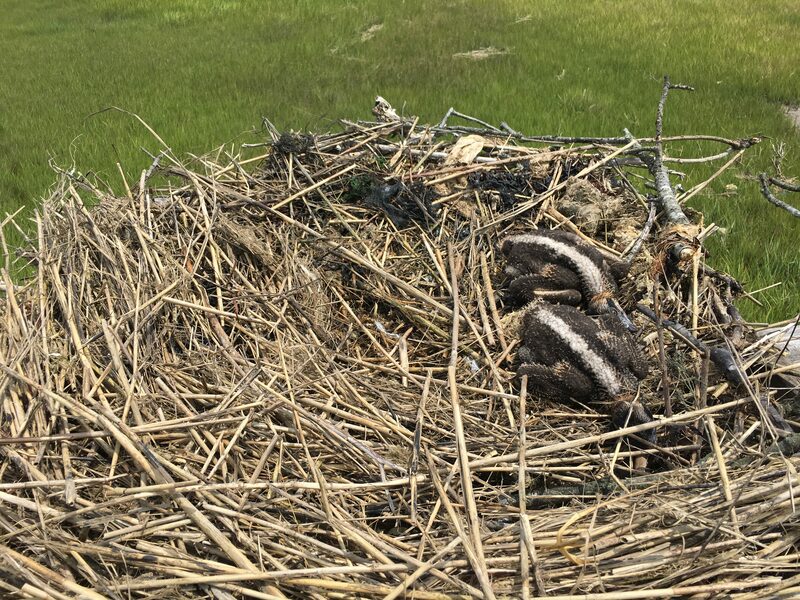 Ospreys nest on platforms in open areas near water, so their young can easily become victims during these types of storms. After receiving a text message from my colleague Kathy Clark yesterday evening about the intensity of the storms, she said we should try to do a survey of the affected areas. I had other plans but I knew that those could wait. You see, I’ve done this before. 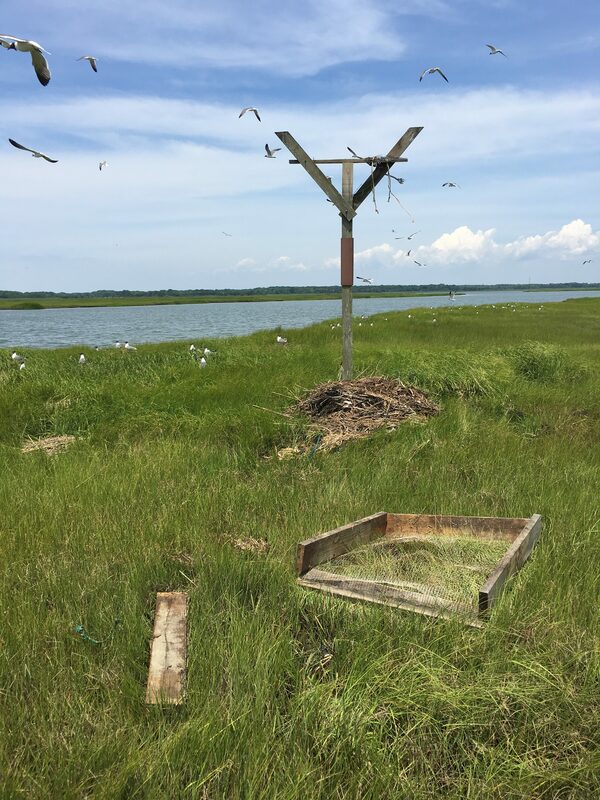 Almost every year since 2012 when the derecho hit Absecon and wiped out half of the young osprey produced. 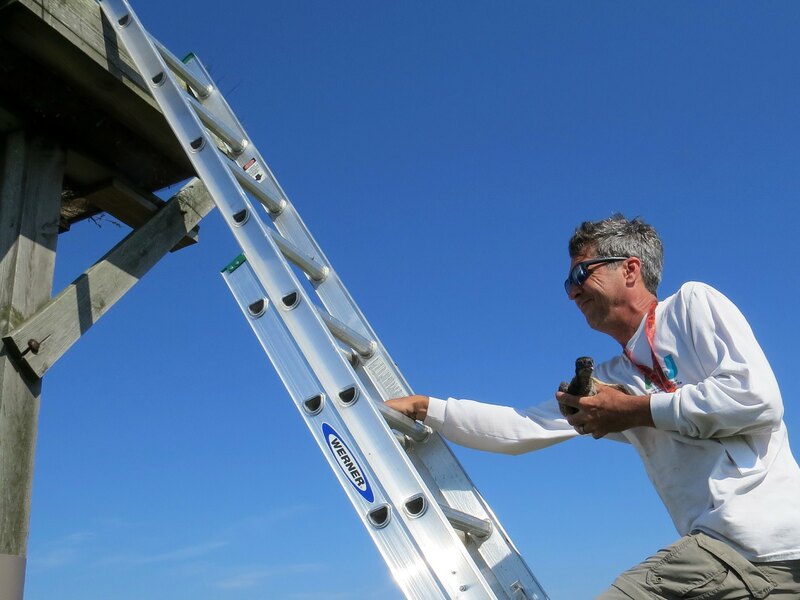 Last year’s storm during this same time of year on Manahawkin Bay caused several young to be lost. Time is of the essence when this occurs. Most young are usually around 2-4 weeks now. We found young that were anywhere from 1 week old to 6 weeks old. Adults do not feed young when they are on the ground so if any were still alive then I knew we had to find them as soon as possible. 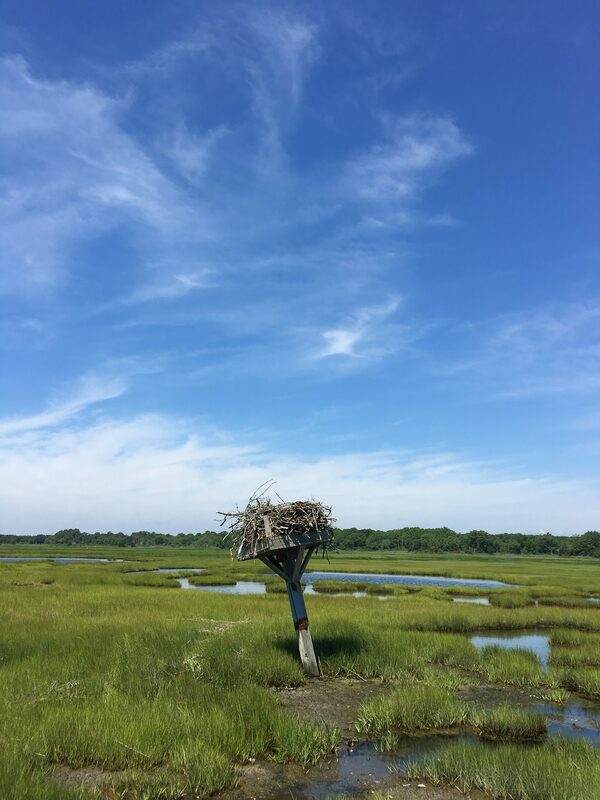 So a plan was made and myself, co-worker Larissa Smith and her husband Matt, a long time dedicated volunteer and osprey bander set out to survey the entire area. 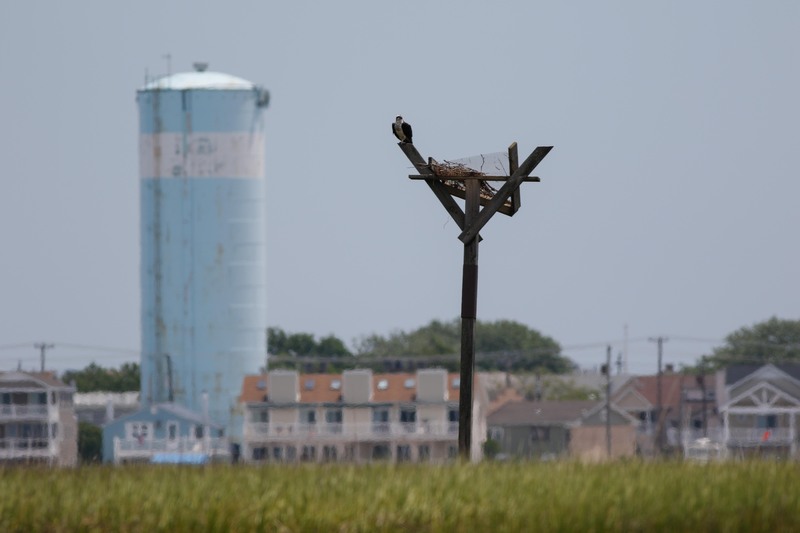 Lower Cape May County contains a huge number of osprey nests, especially in Wildwood, where the storm passed through. 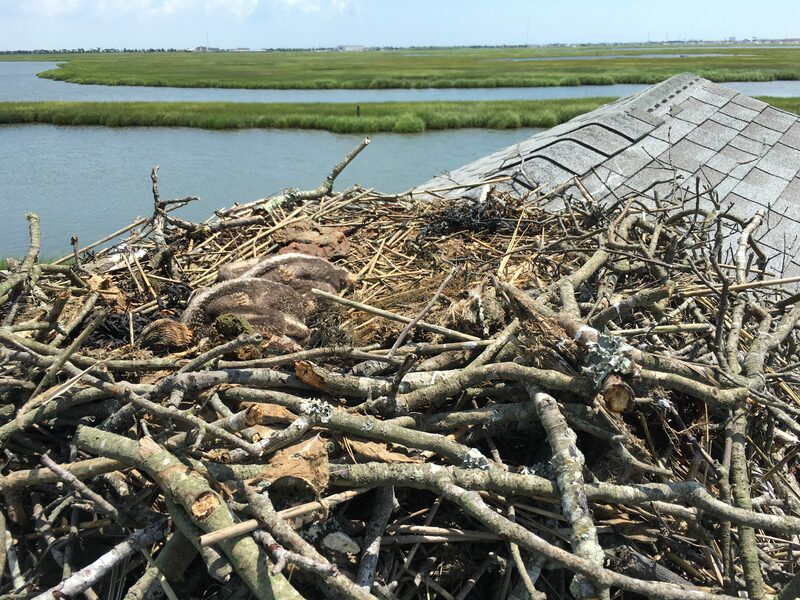 >>View all the nests in New Jersey. << We split up the area and launched our boats at each end. I took the south end in Cape May Harbor and Larissa and Matt took the north end of Wildwood at the public boat ramp. We motored throughout pretty every ditch, creek and channel in the back bays of the area and visited as many nests as we could. 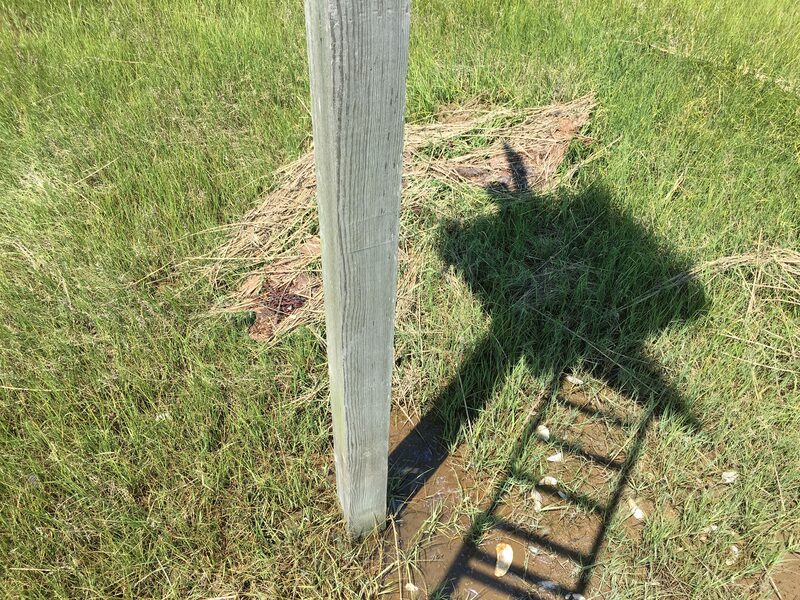 We ended up surveying 50 active nests. Of those 50 nest a total of 15 sustained damage from the storm. 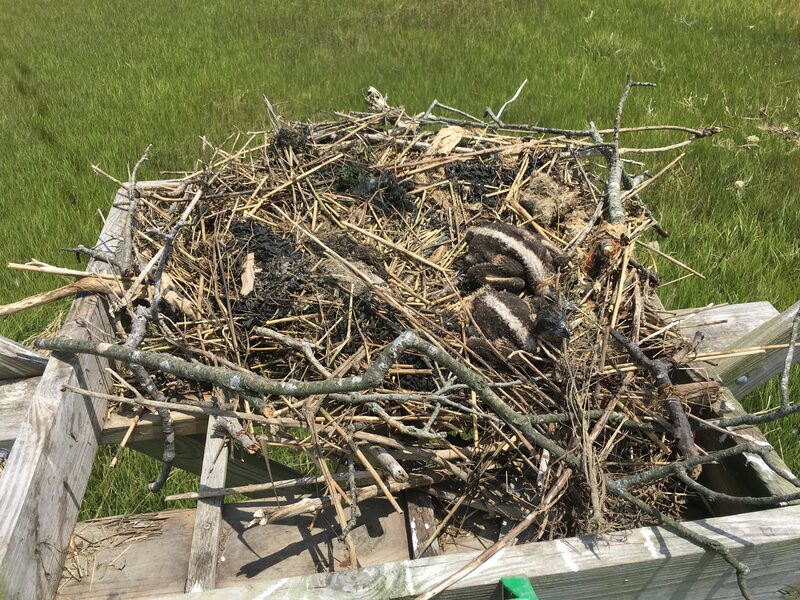 In some nests just the young were blown from the nest and others the whole top of the platform broke apart (most likely from the excess weight of nesting material on the platform). A total of 17 young were found dead on the ground. Three eggs fell to the ground when an entire platform broke apart. 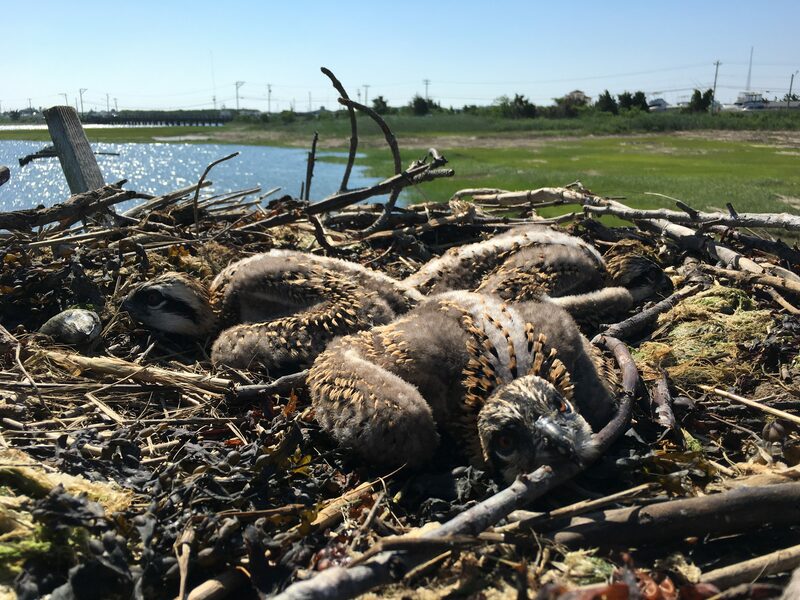 Some other nests were likely to have had young but there was no evidence of them at all (adults were still territorial and on the nest). It is hard to tell what actually killed the young that fell to the ground. We know they did not starve or were eaten. Our best guess is that the extreme downpours and flash flooding are likely to have caused their death on the ground. Without the adults to care for them they are very vulnerable to weather. On a positive note, one nestling was found alive!! It was placed back in it’s nest successfully. From all the nests that I checked most young did survive, 35 in total, so the damage was not too terrible. 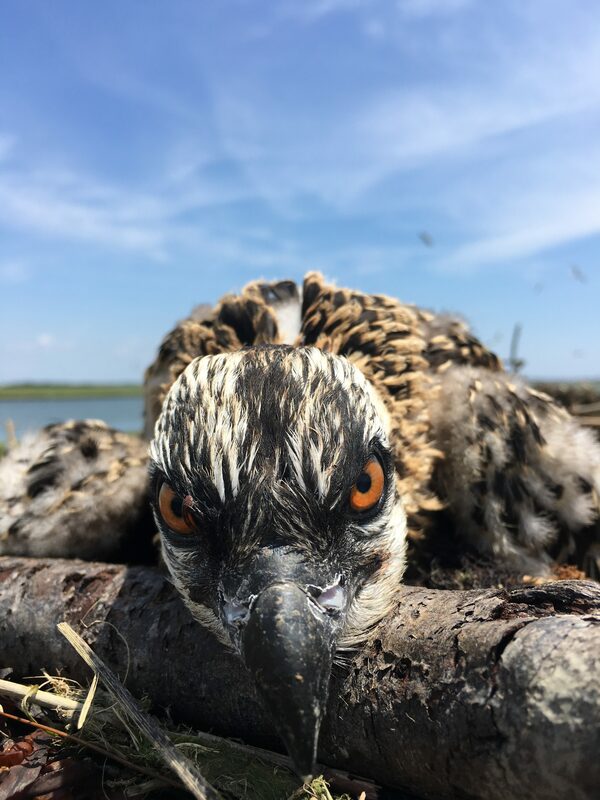 Thanks for reading and please make a donation if you’d like to help support our Osprey Project. Here are photos from the surveys. A nest of Ocean Drive shows no sign of any severe weather. 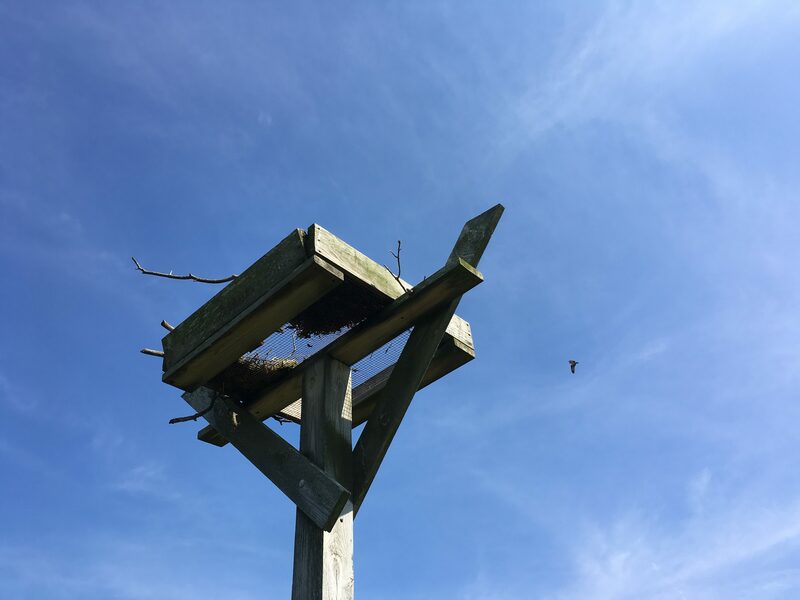 An empty but active nest. Three young are found below the nest. Life is precious. One week old ospreys. This nest also had no sign of any young. An adult returns to a nest with young. 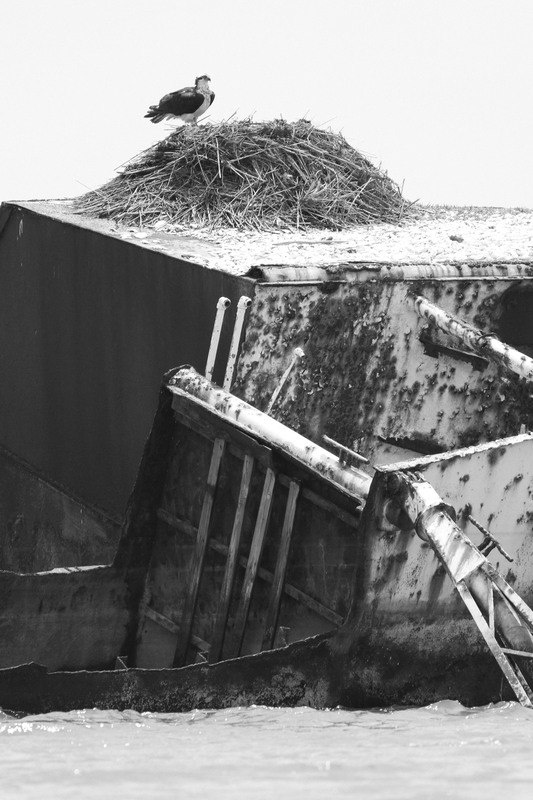 A nest with a broken top and a huge amount of nesting material. The nest on this old shack seemed to survive the wrath of the high winds. An adult perched on a nest where the top broke apart. 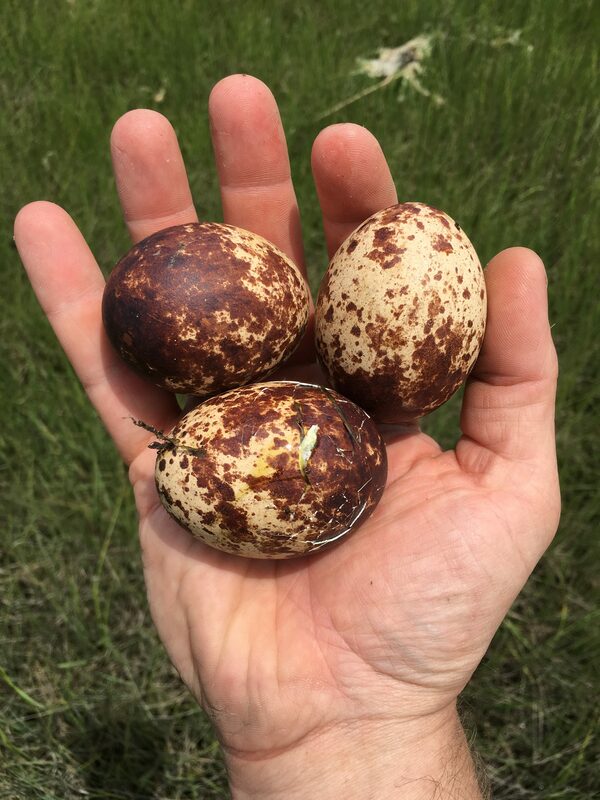 The eggs that were lost from that nest. A lucky nestling on a huge nest. These guys didn’t build a great nest or some got pulled off the platform. So we rebuilt it for them. 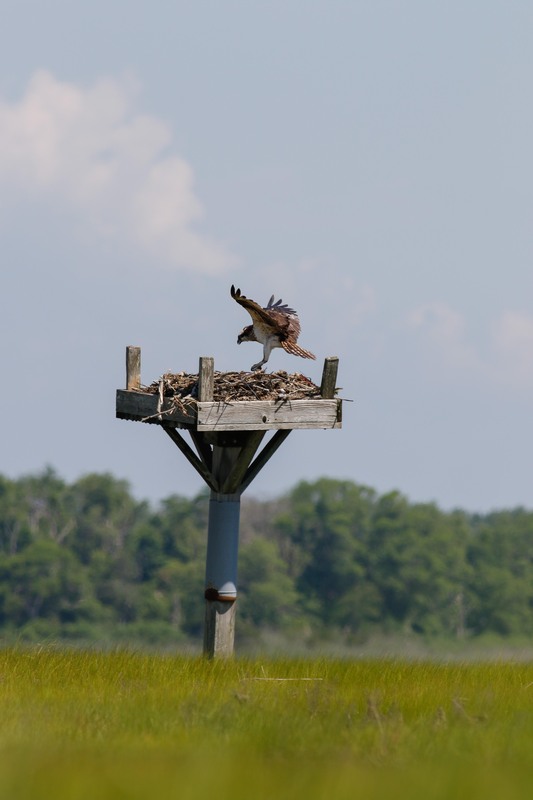 This entry was posted on Wednesday, June 22nd, 2016 at 10:22 pm	and is filed under osprey, Wildlife News, Wildlife Protection. You can follow any responses to this entry through the RSS 2.0 feed. Both comments and pings are currently closed. I cannot imagine the anguish you felt when you found so many nests destroyed or missing young. So glad you were able to get one chick off the ground and back into its nest. 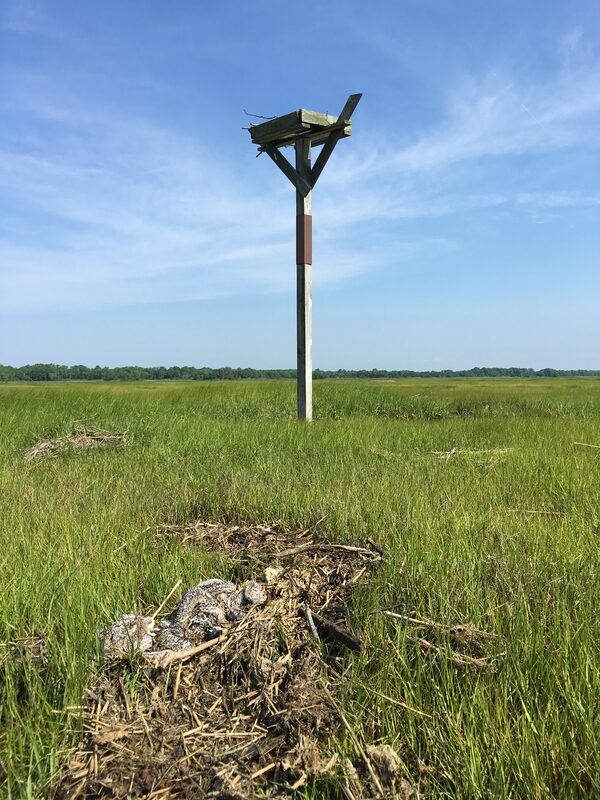 And great work rebuilding some nests, too! I made a donation and hope others do too. I’ll share on FB so people know about the work that you do. Thank you, Mary! 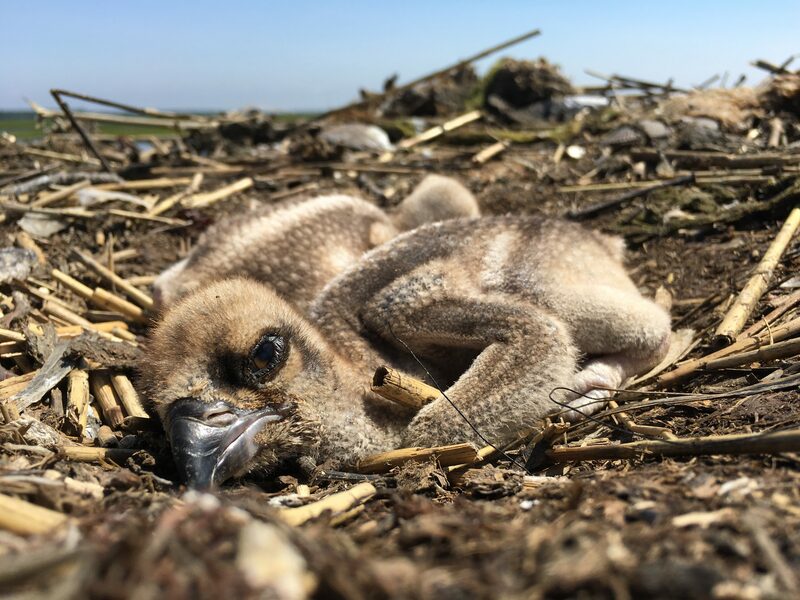 At the first nest where I found three dead young on the ground I was stunned at the sight. Then I really felt for the adults who had spent so much time raising them to the age of three weeks. All that for nothing. I do know that they move on more quickly than us when it comes to mourning the loss of a loved on. I also try to not get too attached to the species I try to protect and manage for these reasons. Nature is cruel and anything can happen, but we try to make the best of the situation and do all that we can to help. Thanks for helping the Osprey. 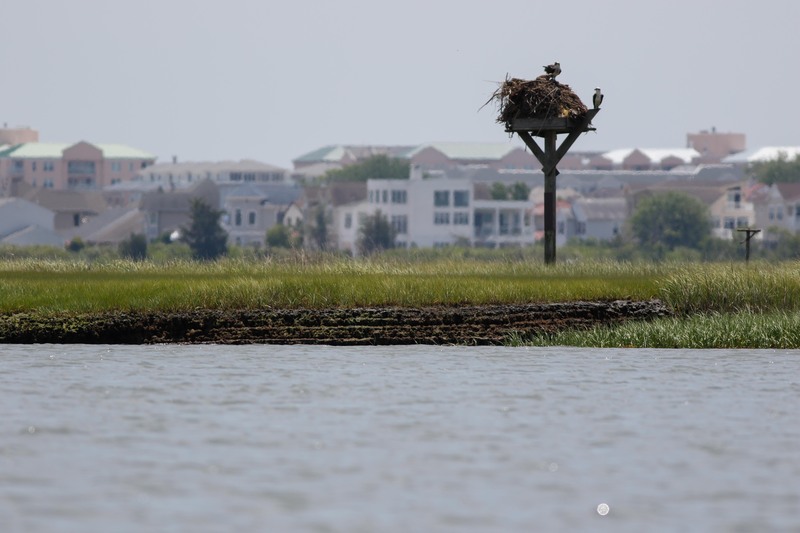 I bet many nesting birds were negatively impacted by these ferious storms all up and down the coast. Here in Virginia, I know of American Robin and Northern Mockingbird nests were the nestlings disappeared right after tremendous rains. Thanks for all you do…it’s always obvious that you put your heart and soul into your work. Ben, Thank you for all you do for the Osprey. You are a wonderful person. The Osprey are lucky to have you in their corner. Many thanks for your heroic deed! It encourages us all to continue to help the helpless when these uncontrollable things happen. What a joy to know you’re even able to intervene. THANKS! !